As part of our effort to ensure users have the best high school sports coverage, we are sharing articles from the media partners who use ScoreStream for their local youth sports coverage. Make sure to follow Fox 8 (Twitter- @Fox8News) as they provide the most in-depth, exciting coverage for Cleveland area, Ohio high school football. 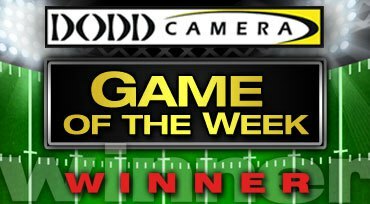 The fans were in charge of the Dodd Camera Game of the Week and it was a close race as the matchup of Strongsville (6-1) at #1 Hudson (7-0) won the title! Follow the recap of the voting and see all of the local Cleveland scores in real time here!